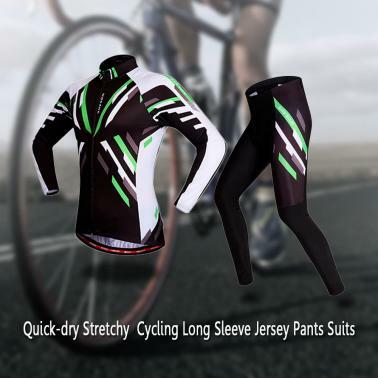 WOSAWE® cycling Jersey suits, featuring 3D cut, skin-friendly texture, and magnificent visibility, are made of highly-functional garment to give cyclists best service with their solid quality and cool style. 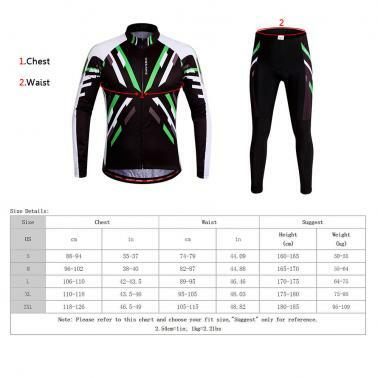 Seamless 3D cut to reduce the body chafing and friction. Breathable and sweat absorbent armpit mesh material. 3 back pockets for easy on–the–go access. Longer cut in back and silicone coated hem for coverage when riding. Reflective trims on the back for night riding. A padded crotch shock-absorbent gel pad to reduce friction and wick moisture. Leg opening with non-slip silicone logo band for a comfortable riding. Added-stretchy material for full freedom of movement. Note: Please refer to this chart and choose your fit size,"Suggest" only for reference.